From exciting masterworks to world premieres, we’re confident you’ll enjoy the Scarborough Philharmonic Orchestra’s 2018/2019 season. Details as of November 24, 2018. For the latest program updates and changes, please check here. THE NUTCRACKER & MORE! 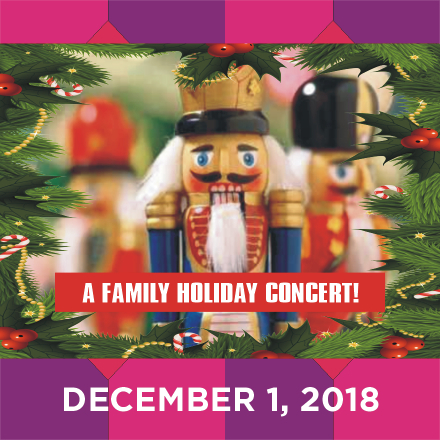 A FAMILY HOLIDAY CONCERT – The Salvation Army Scarborough Citadel December 1, 2018, 7 pm – Earlier start time with special Pre-Concert at 6:15 pm Scarborough Philharmonic Orchestra Ronald Royer, Conductor Scarborough Philharmonic Orchestra Women’s Choir | Yiping Chao, Conductor St. Paul’s L’Amoreaux Youth and Adult Choirs | David McCartney, Conductor Sistema Toronto Youth Choir | Andres Tucci Clarke, Conductor ~ Claudia Liedke, Choir Director Special Guest: Jacelyn Holmes, Vocalist William Rowson – Fanfare: A Sesquie for Canada’s 150th Ronald Royer – Fantasia on Canadian Carols Jacelyn Holmes, Tony Rabalao, Ronald Royer – To Do List Jacelyn Holmes and Ronald Royer – We Saw Three Ships Howard Cable – Christmas Songbook Traditional Music and Carols Sing-Along Peter Ilyich Tchaikovsky – The Nutrcracker, Act 1 The SPO is thrilled to have emerging Canadian singer/songwriter, JACELYN HOLMES, joining us as guest soloist for this fun-filled event! Ms. Holmes will perform new music created for the holidays and for the SPO, including To Do List (composed by Jacelyn Holmes and Tony Rabalao with musical arrangement by Ronald Royer) and We Saw Three Ships (with lyrics by Jacelyn Holmes and music by Ronald Royer). Ms. Holmes’ debut album, “Dovetailing” will be available to the public very soon, so keep an ear to ground and support this talented Canadian artist. BRINGING THE BEST OF THE HOLIDAYS TO SCARBOROUGH! FOR MORE INFORMATION ON MS. HOLMES, VISIT JACELYNHOLMES.COM CLICK ON THE IMAGE TO OPEN A LARGER VERSION ADULT SENIOR (65+) STUDENT (with ID) CHILD (under 10) Click here to download our MEDIA RELEASE for this concert, or click here to see our MEDIA RELEASE (EXTENDED) for this concert and coming events! 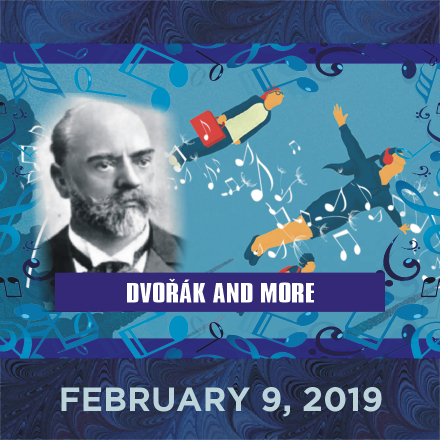 SERENADES & STORIES – St. Dunstan of Canterbury Anglican Church February 9, 2019, 8 pm Featuring the Winds of the Scarborough Philharmonic Orchestra Ronald Royer, Conductor Antonin Dvorak – Winds Serenade in D minor, Op. 44 Antonin Dvorak (Arr. Ronald Royer) – Slavonic Dances, Op. 46, No. 2 Elizabeth Raum – Germany, Spain, France and Ireland from International Suite Charles Demuynck – Upbeat Shreya Jha (New Generation Artist) – Adversity SPO 2018 NEW GENERATION COMPOSERS WORKSHOP SELECTIONS: Brendan Bevan – Hokkaido Sunrise (Premiere) Ian Chan – Desert Stones (Premiere) William Zhang – Eons Fallen (Premiere) ADULT SENIOR (65+) STUDENT (with ID) CHILD (under 10) To view a larger version of our “Serenades & Stories” poster, click on the image on the left. If you would like to have a PDF version of the poster, please click here. 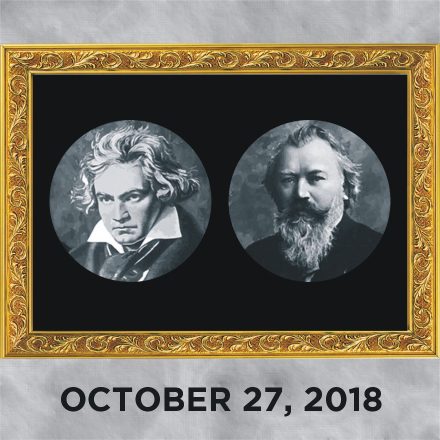 To view our Press Release for this concert, please click here. Please remember the concert location is new to the SPO. The concert will be held at the beautiful St. Dunstan of Canterbury Anglican Church, located at 56 Lawson Road in east Scarborough. The acoustics of this location are excellent and the space will compliment the quality sound of the Winds of the Scarborough Philharmonic Orchestra. FREE PARKING AVAILABLE ON SITE!!! LOVE GREAT CLASSICAL MUSIC, BUT HATE TO TRAVEL? Great Music is Right Here, in the heart of Scarborough! © Copyright Scarborough Philharmonic Orchestra. All rights reserved. Website design & development by Engine Communications.